Statement by a group of autonomous activists, who occupied a bucket wheel excavator in the brown coal opencast mine of Profen earlier this week. Originally published by Hambi Bleibt. 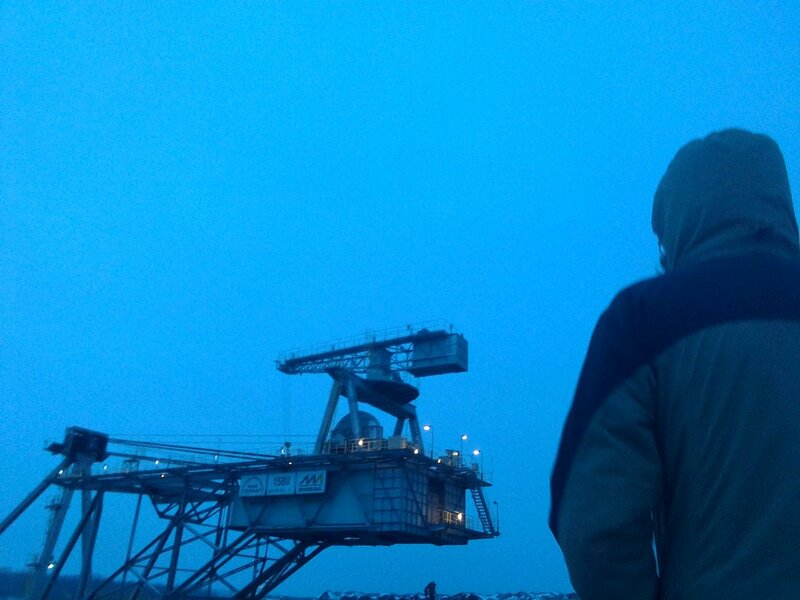 Today, on January 11th, 2019, we, a group of autonomous activists, have occupied a bucket wheel excavator in the brown coal opencast mine of Profen. Generation of power from lignite affects the global climate and destroys the landscape and ecosystems of an entire region. Whole villages have to give way to the “general interest”. In fact, this is just the interest of individuals and their only motivation is profit. But we stand for a world of ecological and social sustainability, we want a fair world. At the moment, however, the world is divided into those that cause destruction and those that suffer from it. This happens not only in the “resettlement” of entire villages, but also on a global scale. The climate crisis is mainly due to the lifestyle of the people in western industrial nations, but those who suffer most are living in the global South. So it’s up to us to end the suffering and the destruction! Meanwhile, the problem of climate and environmental destruction has arrived in the collective consciousness. Last autumn, the protest in the Hambach Forest was very present in the media. But that is not enough! The forest is going to be cleared once more and coal is still being mined! And not only in Hambach, but also in Profen and worldwide! We demand an immediate coal phase-out in Germany and everywhere! The greater the injustice, the stronger the resistance! Donate for our work in the Enough is Enough info-shop and our independent reporting on our blog and social media channels. Even 1€ can make a difference. Next post: Alfredo M. #Bonanno: Why #Insurrection?